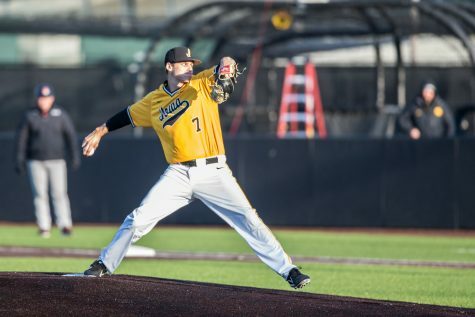 Tanner Wetrich went through a slump in late March, but he has returned in full form in recent games. 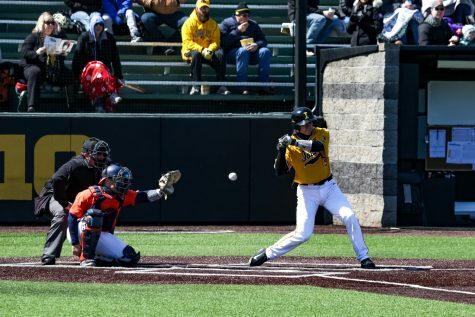 Iowa shortstop Tanner Wetrich swings at a pitch against Northern Illinois on April 16, 2019. 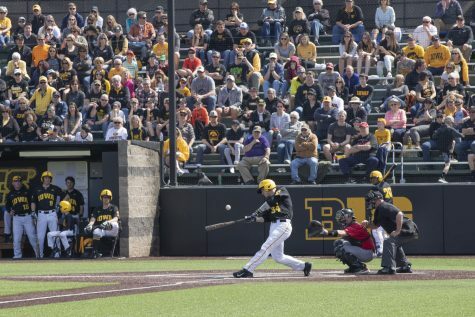 The Hawkeyes defeated the Huskies, 8-6. 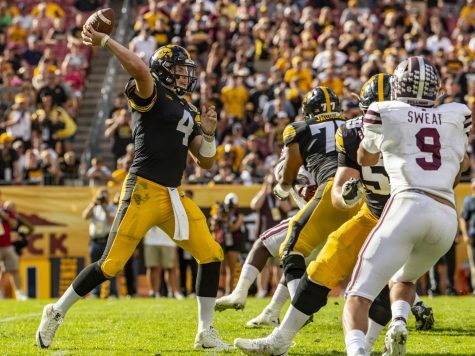 That player, however, wasn’t the Wetrich fans saw in 2018. Last season, he hit 1 home run. Wetrich started 15 games in left field that year, along with two at second base, two at designated hitter, and one at shortstop. He scuffled overall, hitting .224 and bringing in 11 runs. 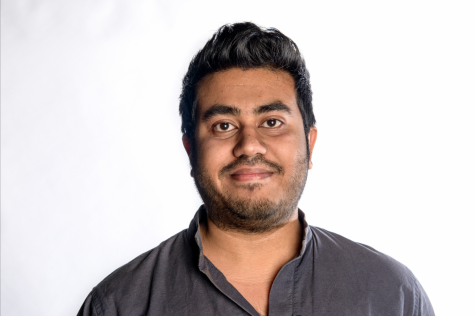 Now, fast forward to 2019, and the story is completely different. Wetrich’s No. 16 can be found almost every game at shortstop, where he has started 32 games this season. His increase in playing time has come with an uptick in production. 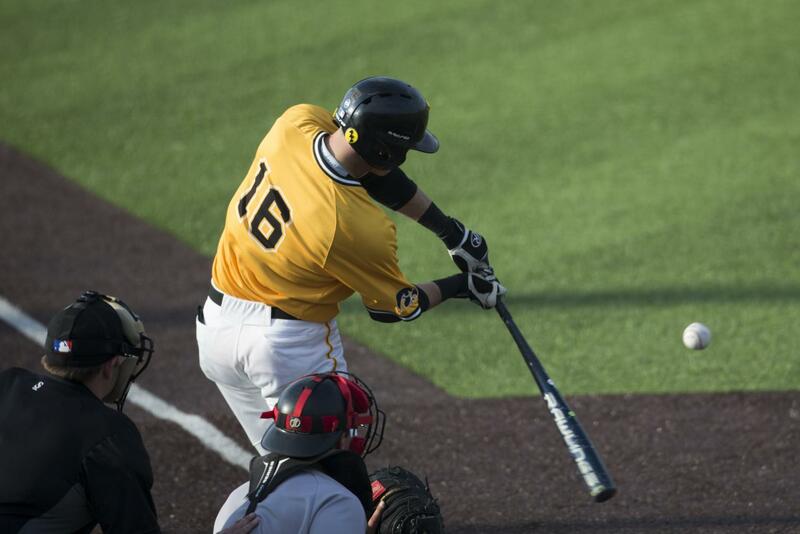 The Moberly, Missouri, native is now hitting .264 to go along with 16 RBIs and 5 home runs, which is tied for the team lead and five times the number he clubbed last season. The ups and downs Wetrich has experienced have even been present this season. 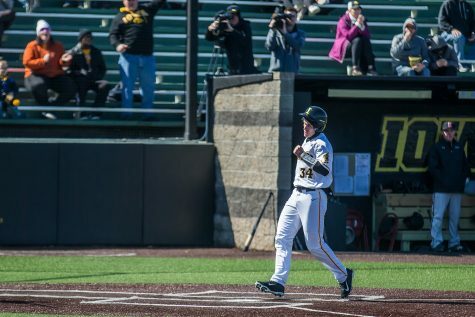 After Iowa’s series opener against Rutgers on April 5, he found himself with a .207 average, his lowest mark of the season. 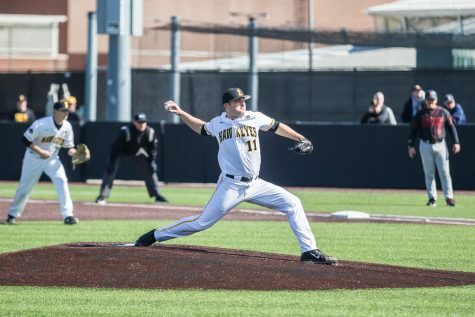 It was the result of a five-game hitless streak in late March that spanned the entire Illinois series, a midweek game against Clarke University, and the first Rutgers contest. Despite facing problems in the box, Wetrich wasn’t fazed in the field. He has served as a solid wall between second and third base that hasn’t committed an error in the month of April. 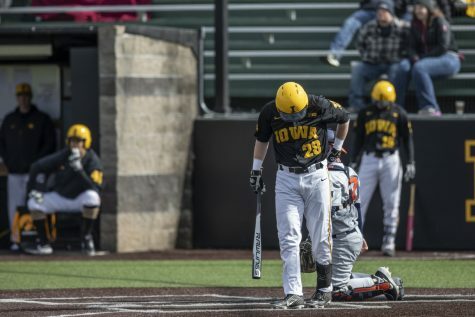 All in all, it has been a solid season for someone tasked with the challenge of replacing Kyle Crowl, who finished last season with 6 home runs and was set to be one of Iowa’s top returning hitters. Wetrich, though, stepped up when his team needed a solid presence on the lineup card and in the field. “I was ready to take on that challenge,” Wetrich said. 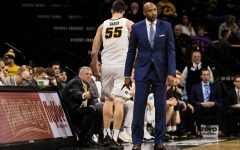 What might be most exciting for Iowa is the fact Wetrich may have figured out the problem he previously dealt with. 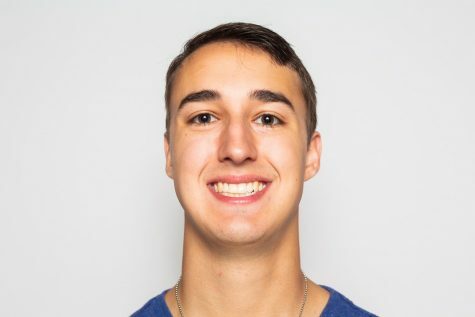 Heller said his shortstop has been working to shorten his swing and make his swing as compact and direct to the ball as possible. When Wetrich is successful, Heller said, it shows. 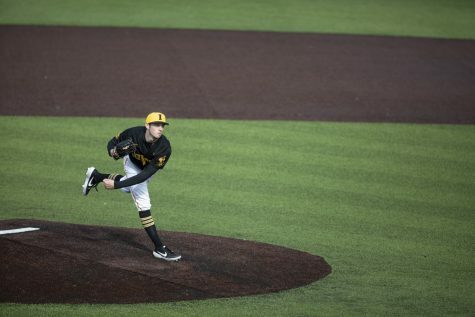 Like Wetrich has done this season, Iowa fought back on Tuesday. 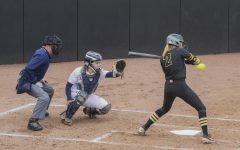 After surrendering 3 runs in the second inning, Iowa battled back the rest of the way, putting up multiple runs in three different innings. 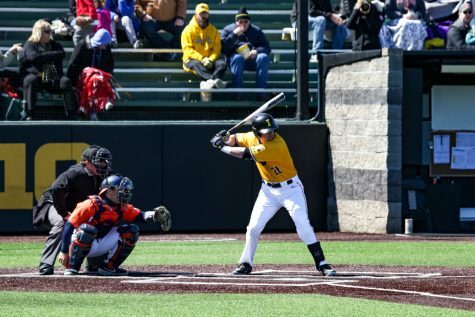 The Hawkeyes had three players with multiple RBI, and Wetrich was one of them. 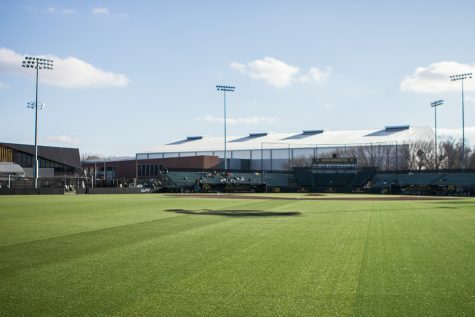 “Even if a team scores a couple runs early, we always feel that we’re never out of a game,” outfielder Ben Norman said.